Christopher Schwarzenegger - the 13-year-old son of the former Governor of California and his estranged spouse Maria Shriver - had been in intensive care after suffering a collapsed lung, broken bones and broken ribs in a boogie boarding accident in Malibu last Sunday but his mother has now confirmed he was allowed home last night. Arnold also took to his twitter page to thank the efforts of medical staff involved in treating his son. 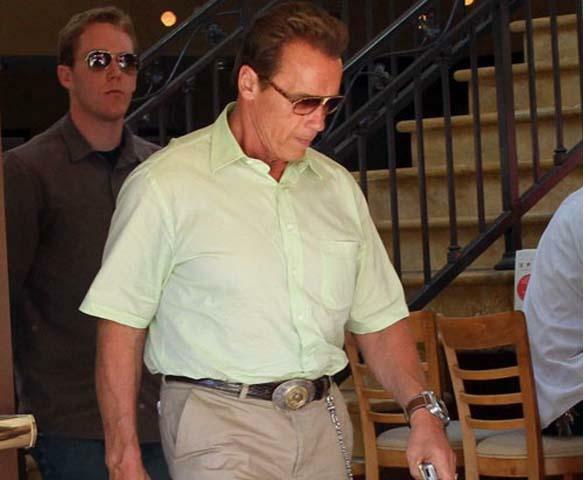 The ‘Terminator’ star had earlier thanked fans for their support and well-wishes. He wrote: "Thanks for all your support for Christopher. It means a lot to me & to him. He's doing much better & we'll have him back at full speed soon." Maria and Arnold - who split shortly before it was revealed he had fathered a 13-year-old child with their former housekeeper - have three other kids, Katherine, 21, Christina, 19 and Patrick, 17.